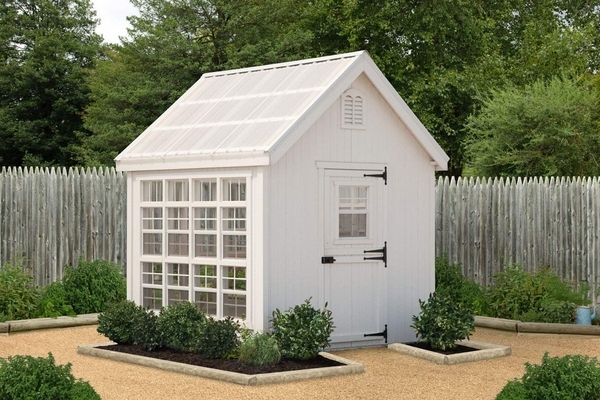 The Colonial Gable greenhouse garners many compliments on a well-designed greenhouse. 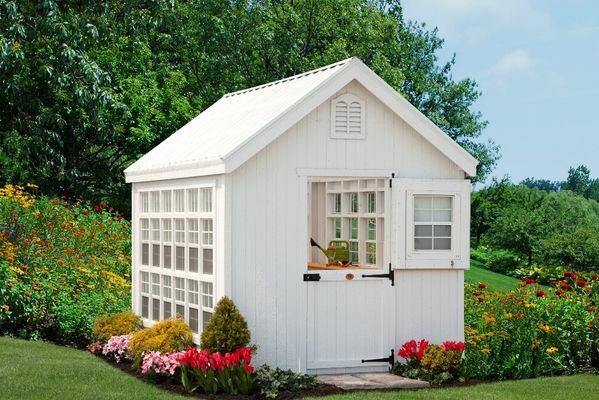 WIth six-foot-high side walls, 25 single hung windows with half screens, and white polycarbonate roof, this exclusive Little Cottage Company design is a true masterpiece! The exterior trim and siding also come 98% primed. Assembly will be a snap with panelized wall sections and all other parts being pre-cut and ready for assembly. With an adult Dutch door with window, this greenhouse shows it's a giant despite its small size.